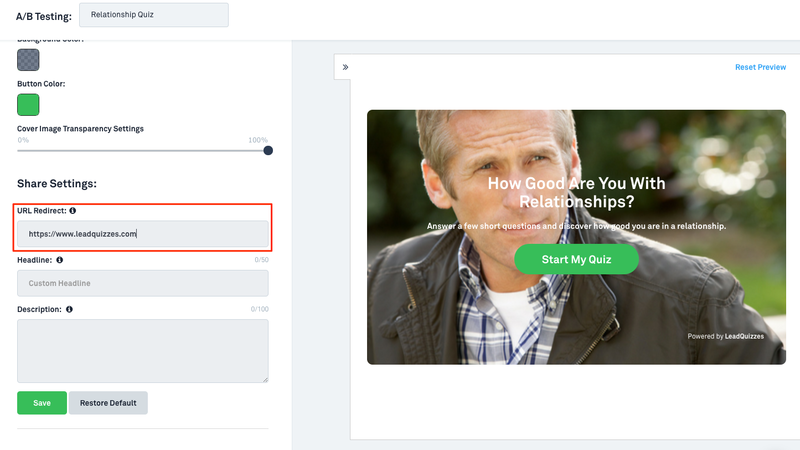 Do you have a quiz that is embedded on a page and you want your quiz takers to be able to share that instead of the default quiz.leadquizzes.com URL? No problem! 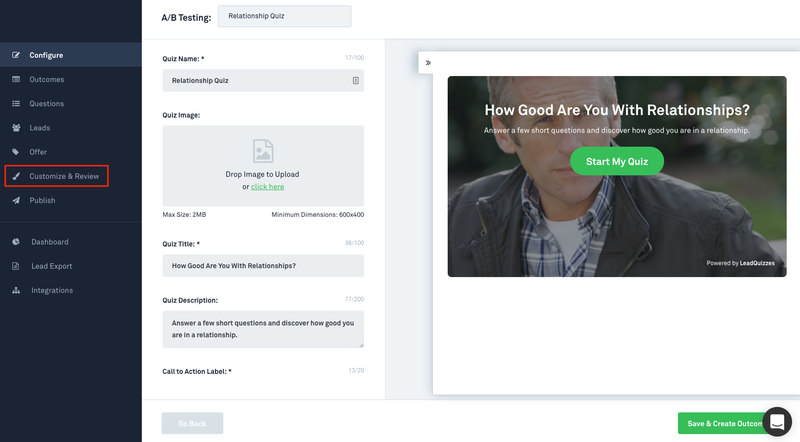 With LeadQuizzes you can change the URL that you would like shared for your quiz to match the page that the quiz is housed on. 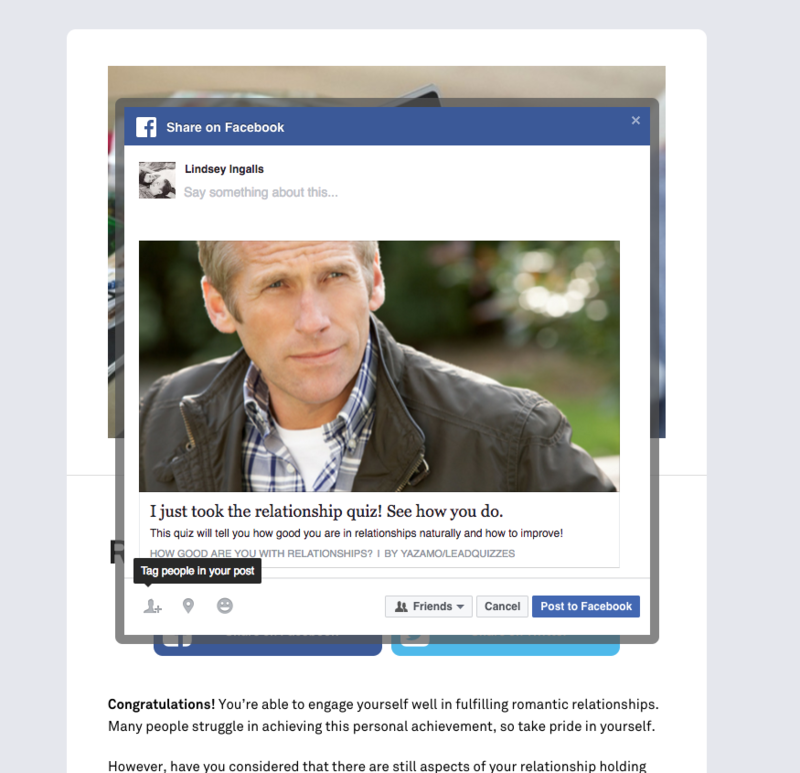 You can also adjust the headline shared and the description. To do so follow the instructions below. To customize the social share settings first either create a new quiz or edit an existing quiz from your dashboard. In the quiz builder you will see a "Customize & Review" section. This is where you will change the social share settings for your quiz after it is created. 2. On the second half of this page you will see a "Share Settings" section and three different sections to update, "URL Redirect", "Headline" and "Description". This is where you will update the information that is shared on Facebook when your quiz leads click that they want to share the quiz. 3. First you will see the URL redirect field to update. 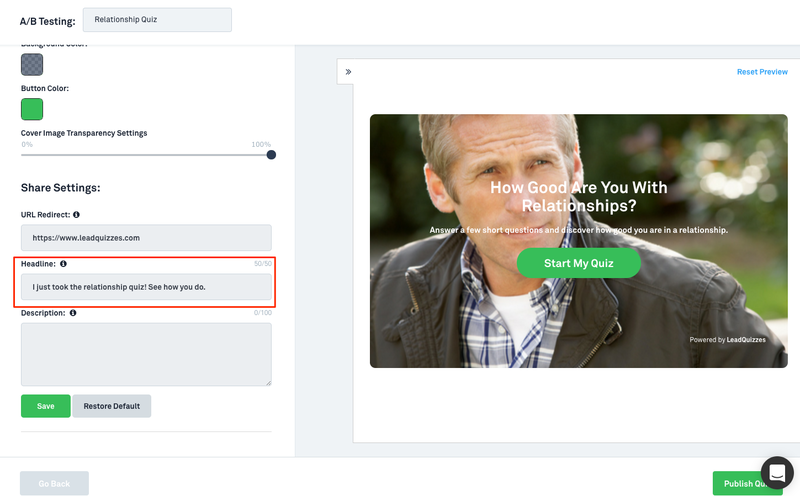 This is especially important if you have the quiz embedded on a different page and aren't using the quiz.leadquizzes.com URL. This way when someone shares your quiz they will share the URL that you want! To update simply copy and paste or type in the URL of the page you want to direct people to. 4. Next you can update the headline that is shared. The default is to share the quiz title here, but you can update this to whatever you would like! 5. Lastly you can update the description. The default is to share the quiz description here, but you can again update this to whatever you would like.